Are there any crusty readers out there who, like the author, recalls Roger Miller’s hit song ‘England Swings’? That was the 1965 US pop chartbuster with vivid, stereotyped lyrics, telling of bobbies on bicycles, rosy red-cheeked children and dapper gents with derby hats. Britain’s groovy reputation in the Swinging Sixties was a magnet for American musicians and artists, as well as young tourists by the charter plane load. They came to play, sway and in many cases, stay. American celebrities who have spent significant time living here include musical icons Tina Turner, Susie Quatro and Madonna, actors Gwyneth Paltrow, Kevin Spacey and Gillian Anderson, and writers Bill Bryson and Francesca Simon. Jimi Hendrix, born in Seattle, was one of the greatest rock legends to live, love, write and perform in Sixties London. He also infamously died here in 1970, from an accidental drugs overdose. 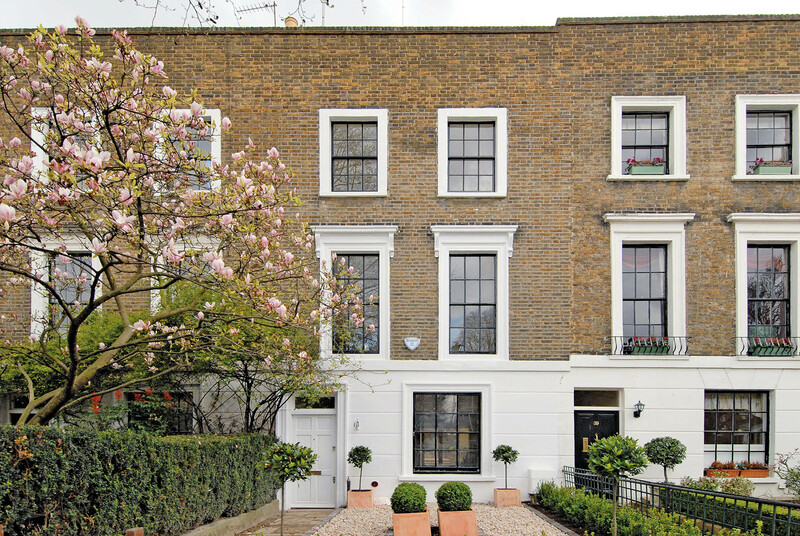 You can visit his Mayfair flat at 23 Brook Street, which shares Georgian walls with the former home of composer George Frideric Handel. Together these make up the fascinating Handel & Hendrix in London museum. 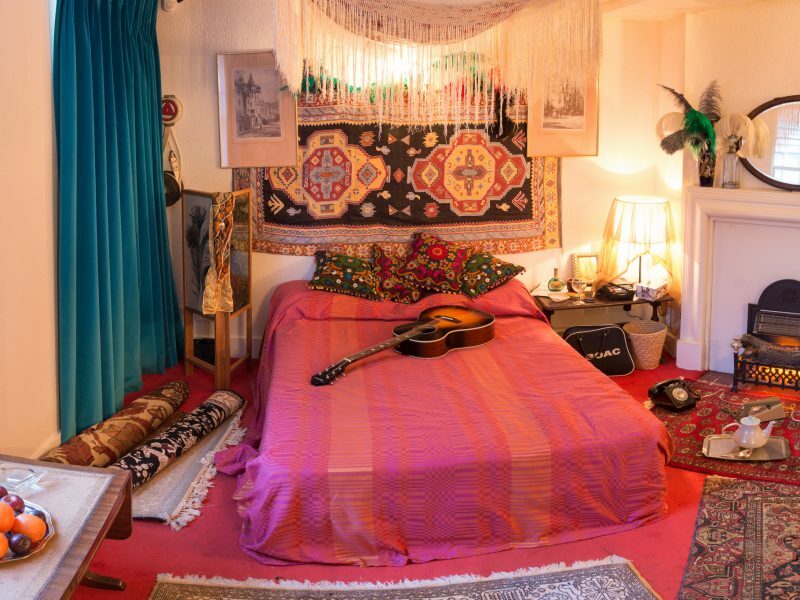 Jimi’s carefully restored bedroom is on the top floor, complete with hippy-style decor and his favourite black hat, feather boas and acoustic guitar. If you’re in the mood for more swinging, there are plenty of Sixties themed tours out there, like the Ultimate Swinging 60’s Experience Tour on a Routemaster Bus or Free- Tours-by-Foot’s acclaimed Rock‘n Roll London. Those with deeper pockets may prefer the luxury Rock N Rolls Tour of Swinging London, in a Rolls Royce of course. As well as those eagerly awaited royal nuptials, Spring 2018 marks the 72nd anniversary of Prime Minister Winston Churchill’s 1946 ‘special relationship’ speech, in which he publicly bravo-ed the close US-UK cultural and historical ties. Although that relationship has been celebrated, tested, challenged and changed over the decades since, there is no doubting the many strong and enduring American Air Museum, Duxford, copyright IWM British-American connections. Whether you have an academic or more personal interest in World War II US-UK links, the American Air Museum near Cambridge is a highly recommended must-see. With striking, award-winning architecture by Norman Foster, the Museum houses the largest collection of American aircraft outside the USA and is a fitting tribute to the 30,000 Americans who died after flying from UK air bases during the war. You can also pay a visit to the nearby Cambridge American Cemetery and Memorial, where thousands of American military personnel are buried or honoured. This includes over 5,000 names engraved in stone on the Walls of the Missing. And it’s always worth a detour to Cambridge itself, where we recommend a pint at The Eagle, the city’s oldest pub and steeped in historic charm. 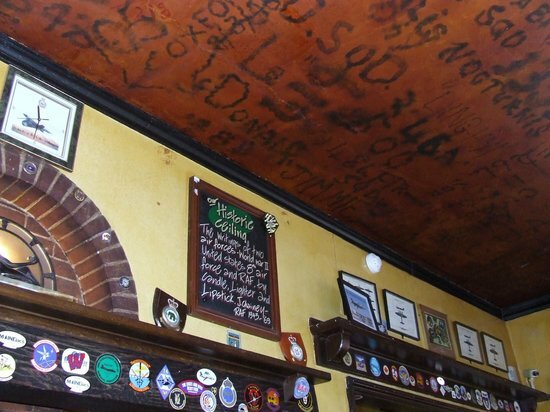 Be sure to check out the pub’s unique RAF Bar, where American and British fighter pilots socialised before setting off on their dangerous missions. Although many never did return, their names and moving messages are etched forever into the ceiling with Zippo lighters, candles and lipstick. There are lots of other memorials to noted Americans dotted around the UK, including Pocahontas, Tom Paine and Whistler. You’ll also find statues of FDR and Ike in Grosvenor Square, Abraham Lincoln in Parliament Square, George Washington outside the National Gallery, and Martin Luther King as one of the 20th century Christian martyrs carved above the doorway of Westminster Abbey. Virginia Quay Settlers Monument in Blackwall, East London, remembers the 105 “adventurers”– men, women and children - who sailed from here in 1606 in three small ships and went on to found Jamestown, the first English colony in North America. “As music is the poetry of sound, so is painting the poetry of sight”. So proclaimed James MacNeill Whistler, born in Massachusetts in 1834, but who lived much of his life in London. Here, he mixed with the foremost artists and society people of the day, linked up with the French Impressionists, and painted his most famous works. In his younger years he was known for being eccentric and bohemian, a wearer of strange hats, monocles and flamboyant moustaches. In his mature years, Whistler became president of the Society of British Artists and had numerous admirers, including Queen Victoria. 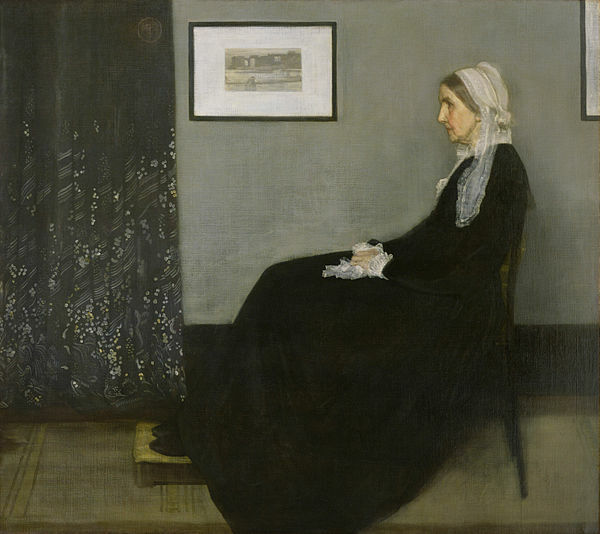 His mother Anna followed him to London in 1864 and thus was available at short notice to pose for Whistler’s most celebrated painting, Arrangement in Grey and Black No.1, better known as Whistler’s Mother. Unfortunately for Whistler however, when his strict and religious mother moved in, his long-time mistress and creative muse moved out. The story goes that Whistler’s model failed to turn up, so out of desperation he asked Mom to pose instead. At first, she had to stand while he painted her. But Whistler’s painstakingly slow and careful painting methods soon exhausted his mother. So down she sat, and that renowned profile was born. Nonetheless, Mom had to sit dozens of times before he considered her portrait complete. You can trace Whistler ’s London footsteps to his homes in Hampstead Heath and Cheyne Walk, Chelsea, where he died in 1903, and where he is remembered with a blue plaque and nearby statue. A good selection of his works can be seen at Tate Britain, although if you want to see Mom you’ll need to make a detour to the Musee d’Orsay in Paris. If you’re a serious Whistler scholar, the place to go is University of Glasgow’s Centre for Whistler Studies. It’s astonishing collection of Whistleriana includes over 10,000 dinner invitations, telegrams, legal documents, business, family and love letters. Whether posing for selfies with Lord Nelson and his iconic pigeons, visiting nearby Buckingham Palace or spending an afternoon enjoying the treasures at the National Gallery, every American in London surely passes through Trafalgar Square at one time or another. But how many of us have ventured the few steps off those well beaten tracks to the door of Benjamin Franklin’s house? Here, behind the 18th century façade of 36 Craven Street, one of our favourite Founding Fathers lived and worked for over 15 years. This historic building was saved from dereliction in 2006, was painstakingly restored, and is Image Source, Alamy Stock Photo now a wonderful small museum dedicated to the exceptional Ben’s life and achievements in history, science, philosophy and politics. Ben truly embodied the concept of a polymath. He was a writer, newspaper publisher, oceanographer, chess player, linguist and alphabetician. He helped draft the American Declaration of Independence, served as Ambassador to France and became the first US Postmaster General. As a scientist and inventor he gave us bifocals, the lightning rod, the eco-friendly Franklin stove, the glass (h)armonica and, last but not least, the flexible urinary catheter. 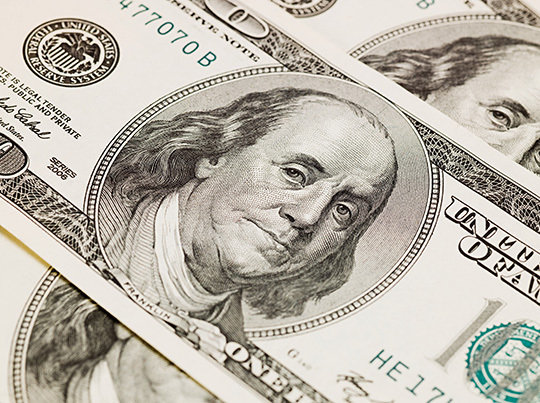 His is the face on the $100 bill. Less well known were Ben’s prolific talents as a musician and songwriter. He played violin, harp and guitar, and wrote drinking songs to friends, love songs for his wife and songs of political protest. Several of these were re-created and broadcast by the BBC for an imaginative programme called ‘Benjamin Franklin’s Ipod’. Nearly 100 miles northeast in Thetford, Norfolk is the birthplace of Ben’s friend, contemporary and fellow American Founding Father, Thomas Paine. Paine was a hugely influential writer, radical politician and revolutionary thinker who challenged authority and injustice throughout his life. Emigrating to the US in 1774, Paine arrived in time to play an important part in the American Revolution. Probably best known as author of The Rights of Man and for giving us countless quotable phrases like “these are the times that try men’s souls”, Paine was also an imaginative inventor who designed an iron bridge and a smokeless candle. Unlike Ben Franklin, Paine was a controversial hero, panned by some in his time for advocating free thinking, votes for all, abolition of slavery and a minimum wage. Although no museum yet honours Paine in his home town, visiting fans can trek the Thomas Paine Trail or salute Thomas Paine Day with locals every June 8th.